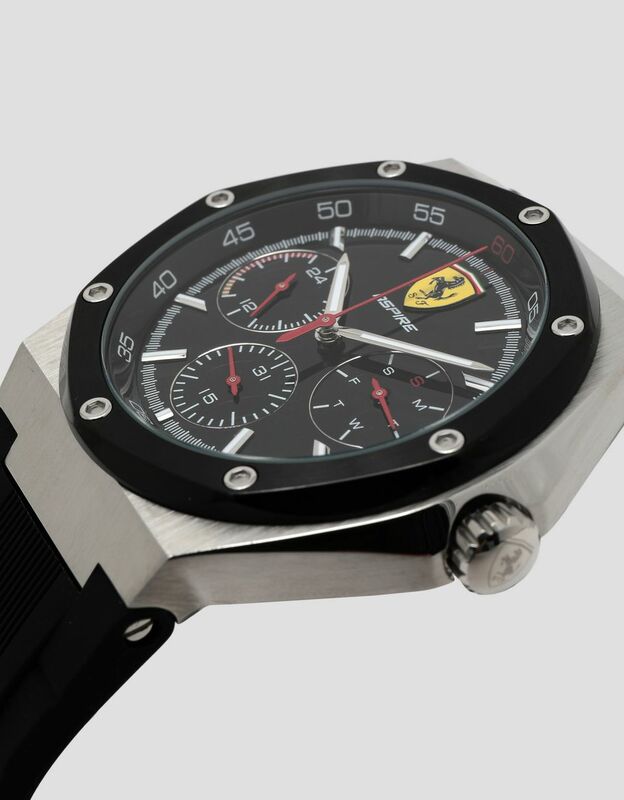 The new multifunction Aspire watch, with a stainless steel case, features a striking design. 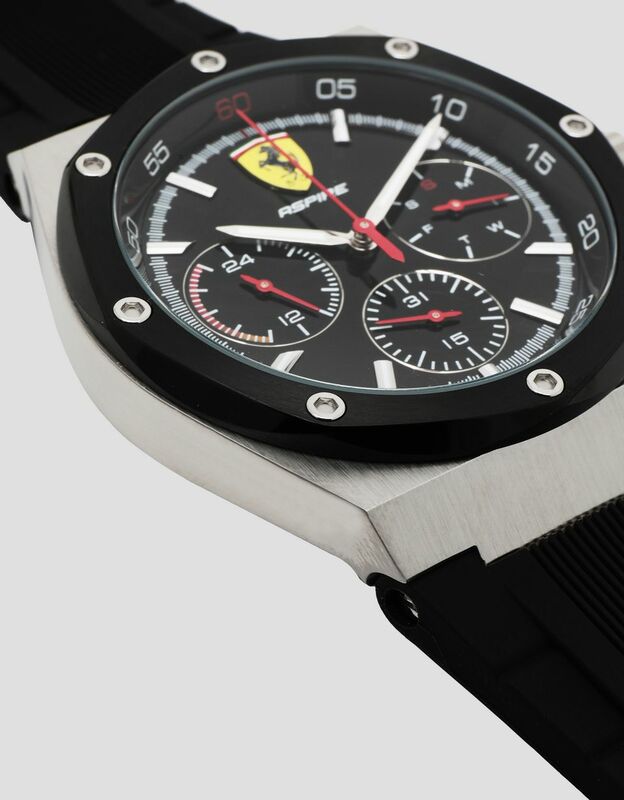 Distinguishing details include the black bezel decorated with racecar-style bolts. 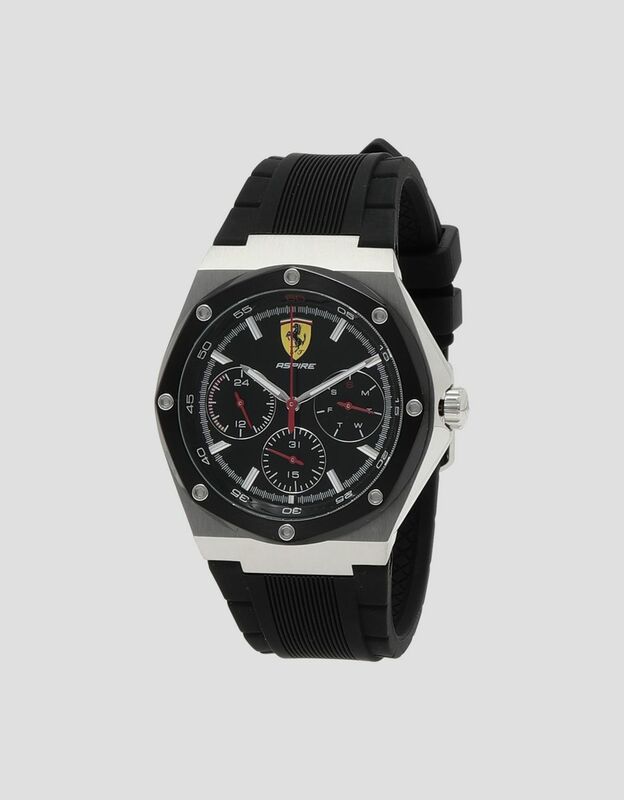 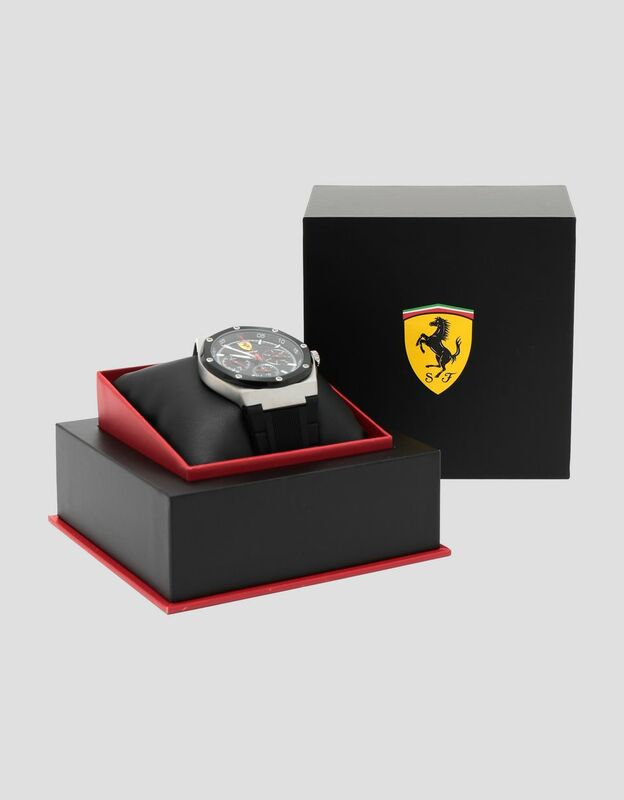 The enameled black dial is elevated by steel details and the Ferrari Shield in its classic colors at 12 o’clock. 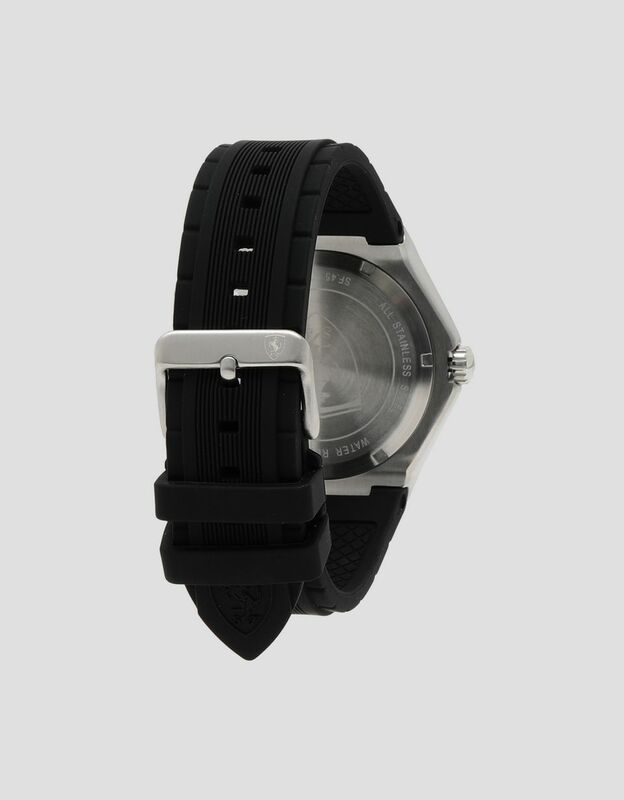 The accessory is finished with a bold black silicone wrist strap. 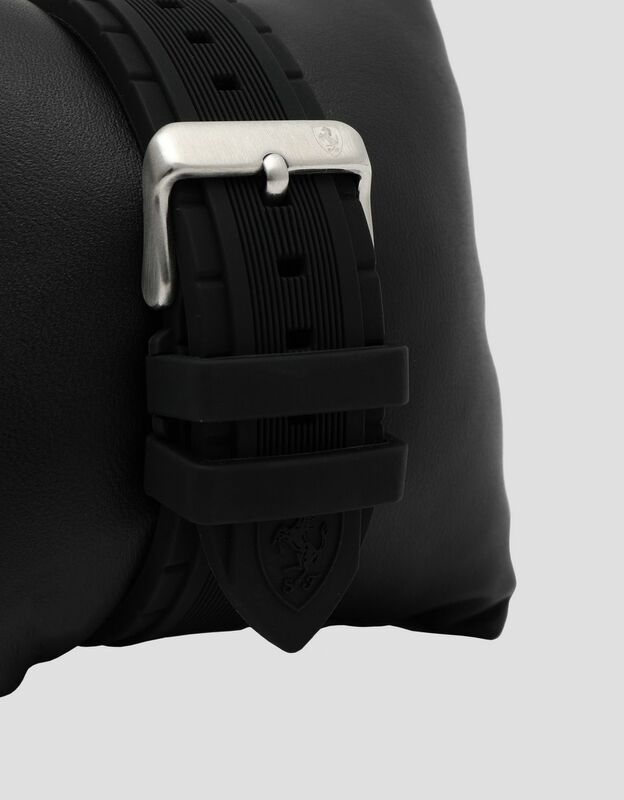 With its strong personality, Aspire can be paired with casual athletic outfits.